Are you aware of the thousands who died for the cause of America, not in battles of our Revolution, but as prisoners of war held by the British under the most horrific of conditions. Their story is mostly forgotten, their lives given to the new nation undervalued by history, unserved by classroom text. The stories of their internment are family stories, some of survival and for many of the ultimate price paid. These troubled souls were released from prison ships the most notorious being the Jersey. Others were confined in prisons within the British held city of New York, one of the nastiest being the “Old Sugar House Prison. In researching the family tree and developing a performance piece I have come to this research material and as much as I wish not to read the gory details I read on. I owe that much to Great Grandpa Ebenezer who succumbed to the mistreatment of prisoners and whose family story deserves to be told. 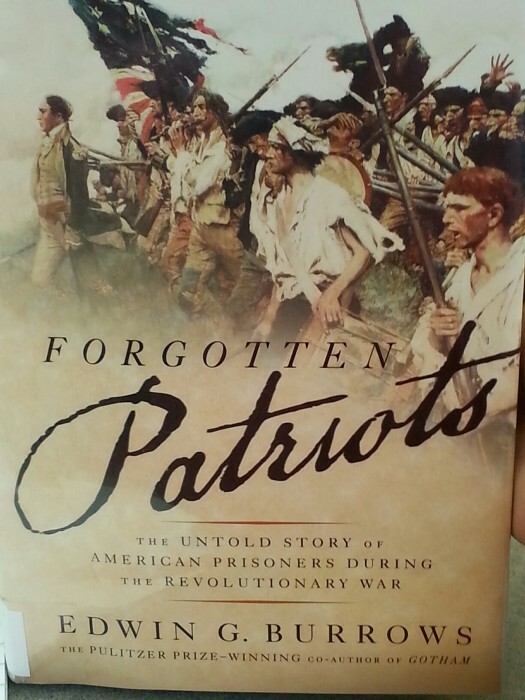 Besides online research the book “Forgotten Patriots” by Edwin G. Burrows is an aid. The book is guiding me further into the story of these Patriots who were held and the prisons and staff that kept them. So determined were these prisoners that upon escape or exchange they rebuilt their strength to fight again in hope of wiping the enemy from the streets of our cities and gaining the release of those still incarcerated in a living hell upon the land of their birth. There are thousands of family stories within these pages and as many untold for many of the records of these prisons were destroyed. We will never know the real number who died there, estimates range into the thousands. My personal connection is through Ebenezer Story ( also Storer) of Preston Connecticut. 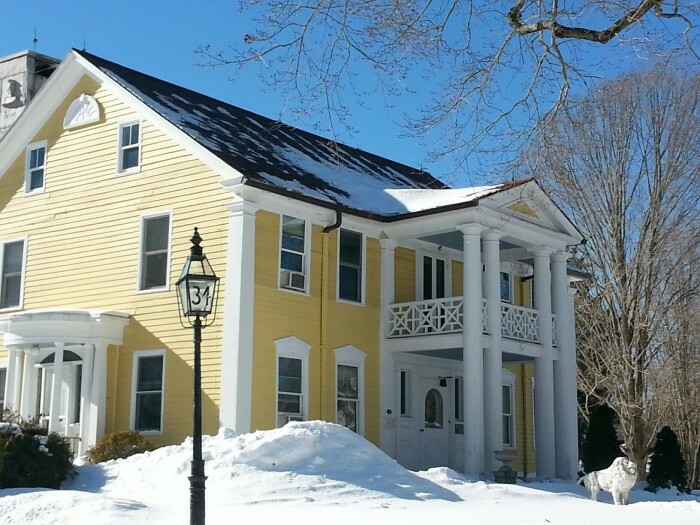 His place on the Thames River was built by his own hands. His craftsmanship was author to the ship Confederacy built on his shore for a fledgling Navy of the Continental Congress. He was ships carpenter when captured, never to return to home, wife or three small sons. His legacy lived on through family stories passed down and now it is my turn to see the tale endure and that he and his fellows of the Sugar House, Jersey and other prisons are not forgotten. Who was Ebenezer Story? This I can tell you, he was a Patriot, bound to the cause of American freedom. Tied to the continental congress through family. The President of the Continental Congress was the well known Samuel Huntington, his wife’s Uncle. They lived not very far from each other. Joshua Huntington had agreed to see that ships were built at Norwich. 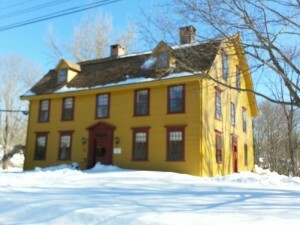 Joshua Huntington’s Home at Norwich, CT.
More of Ebenezer and Mehitable’s life can be ascertained from the archaeology report from their place on the Thames. 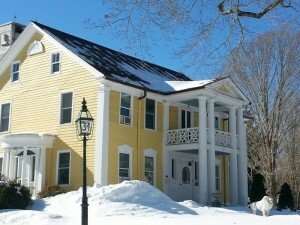 Now I am preparing a longer more in depth tale to share, with a debut at the CT Storytelling Festival in New London on April 25, 2015 www.connstorycenter.org From there who knows where I will take the Story of a family named Story. It’s mine to tell, I am indebted, my freedom, your freedom, the American story are founded on the lives of Patriots, I will tell it lest they remain forgotten.